Hey all and happy Workwear Wednesday! The school year is finally winding down over here, so things are starting to settle down for once! How are things on your end? Any exciting summer plans? I found another skirt that I absolutely loveee…. which is rare for me. Finding skirts is always tough- I feel like the waistband is too small, or the hips aren’t proportioned correctly and I look wide. Well, since this skirt was a bit longer, it did give me a bit of length and height. 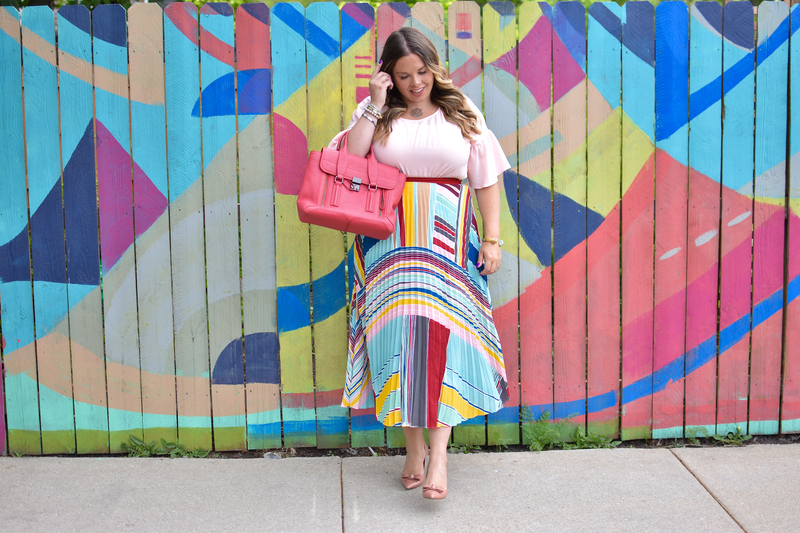 I really loved how colorful it was and the pleats made it a bit more fun as well! 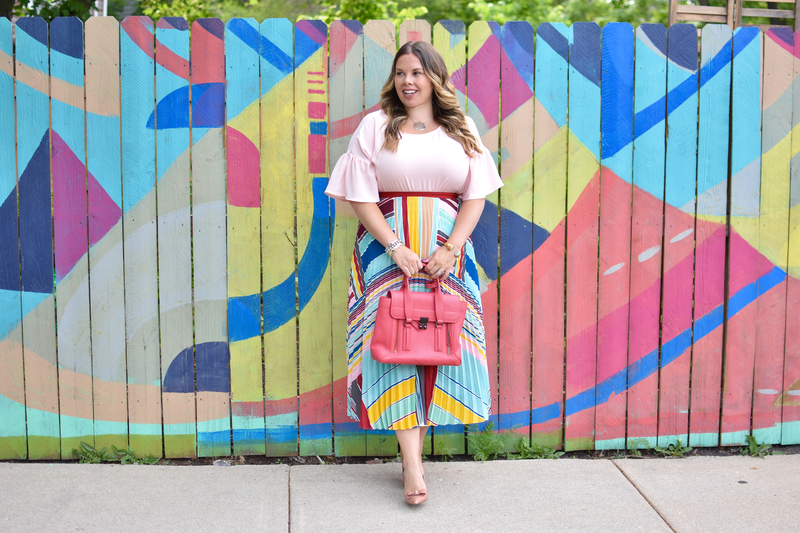 As you know, I love to find some walls (in this case a fence) to match my outfit in some way. When I was thinking of one for this look, I originally thought of a pink wall. Then, I remembered this fence and I was like…. it looks just like the pattern on the skirt. I have a full notes section on my phone with pictures of all the walls I have found, along with addresses! This one is down by the fabulous (and featured many times) Justus Roe! This fence is one of my favorite spots and has been the source for many outfit shots! Hope you all have an amazing Wednesday and week! I’m glad you were able to find this skirt because it’s so unique but so beautiful on you! I really like that blush top to pull out more of the pink from the skirt! 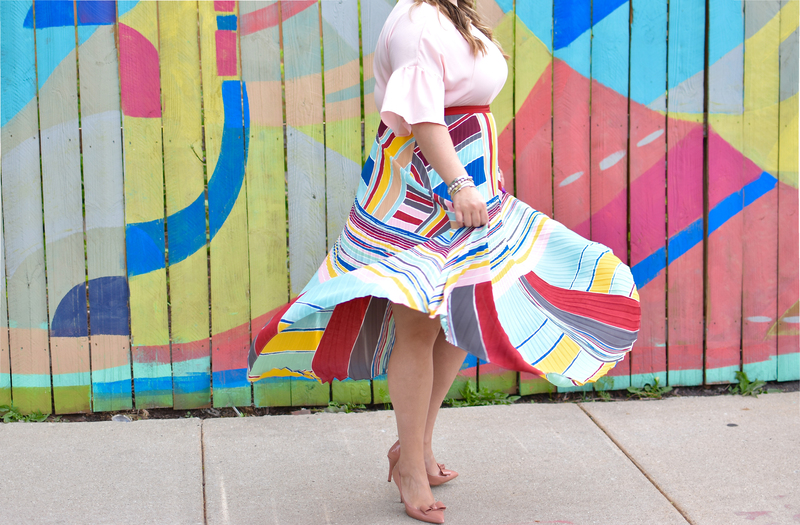 Such a fun skirt and love how it matches the wall! So cute! Stunning shots!! I really love the skirt! I’ve been wanting all of your skirts lately that I’ve seen on Insta! This one is SO pretty on you! You always have the most gorgeous walls in your blog ever! This skirt is gorgeous!! How you found a background to match perfectly is amazing! Beautiful! Your pictures make me soooooo happy! I love all that color! You really have the most prettiest blog ever! Love this skirt it has a bit of an Art Deco feel. Great bold colours that look lovely on you. Thanks for sharing! You look so beautiful! 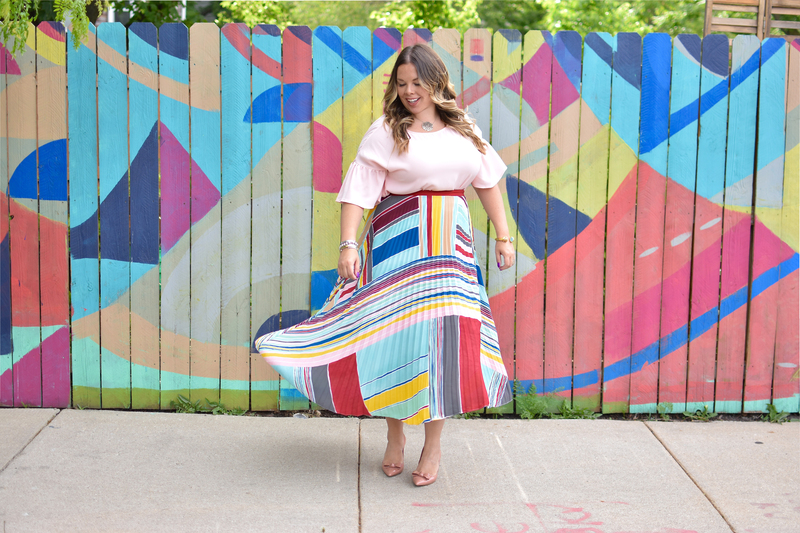 I love this outfit on you and the print and the bold colors from your skirt are so fun!